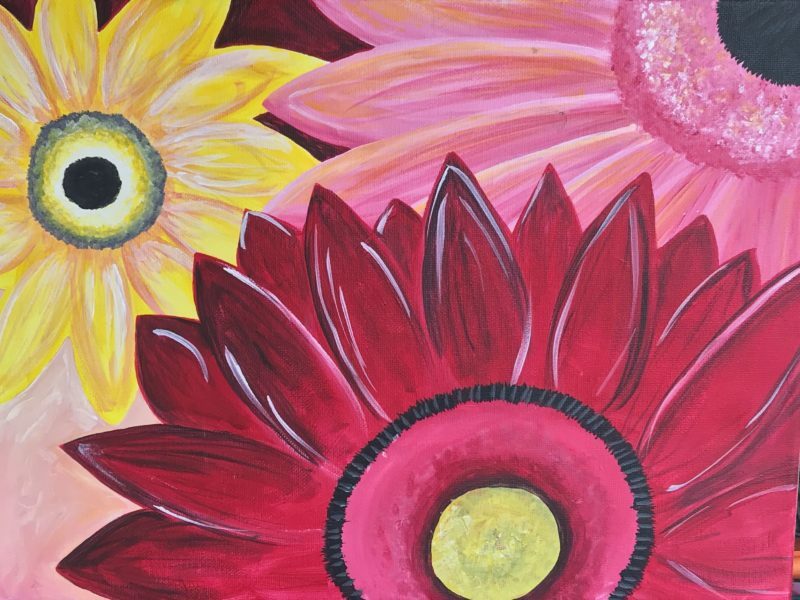 The colorful Daisies are so fun to paint! All art supplies plus a light dinner is included with your registration. Our doors open at 6:00 pm and classes begin at 6:30 pm. We offer a variety of beverages for purchase including wine, beer, ciders, sodas, sparkling juices and more. We will help you get settled in at a table alongside your fellow artists where you will find all the supplies needed to complete your project. We welcome beginners and more experienced artists too! Learn to paint this serene scene, Reflections. All art supplies plus a light dinner is included with your registration. Our doors open at 6:00 pm and classes begin at 6:30 pm. We offer a variety of beverages for purchase including wine, beer, ciders, sodas, sparkling juices and more. We will help you get settled in at a table alongside your fellow artists where you will find all the supplies needed to complete your project. We welcome beginners and more experienced artists too! It's that Apple Blossom time of year! 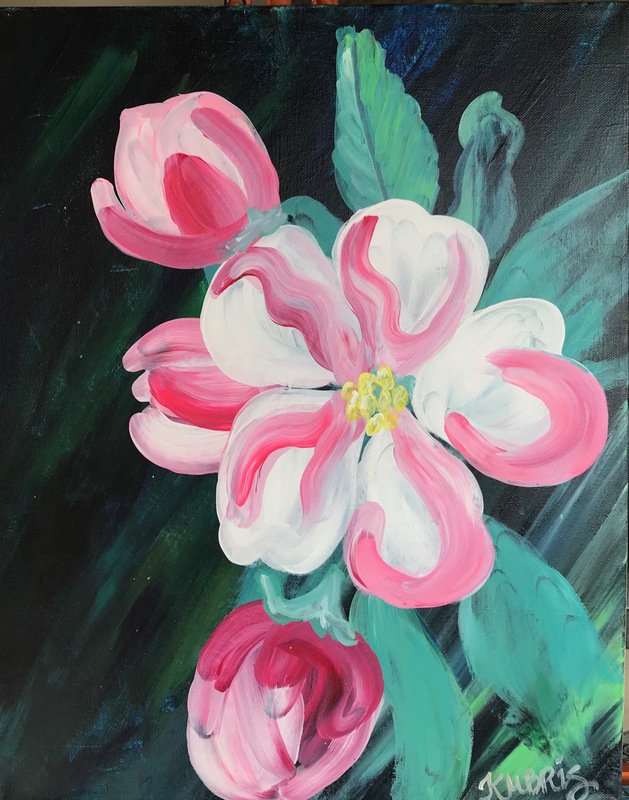 Join us and learn to paint this seasonal floral. Our doors open at 6:00 pm and classes begin at 6:30 pm. We offer a variety of beverages for purchase including wine, beer, ciders, sodas, sparkling juices and more. We will help you get settled in at a table alongside your fellow artists where you will find all the supplies needed to complete your project. 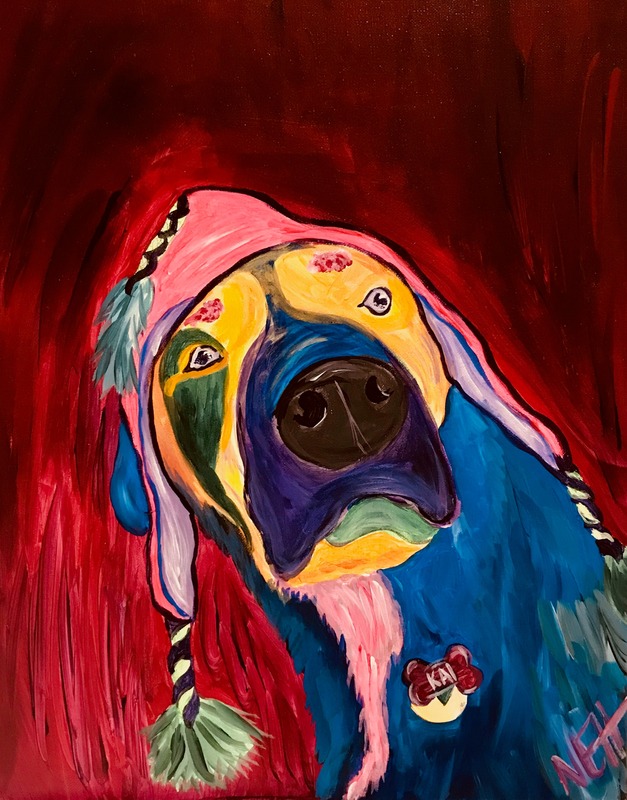 We welcome beginners and more experienced artists too! 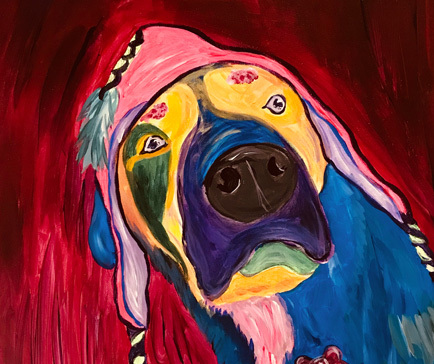 Our popular Paint your Pet series is back! 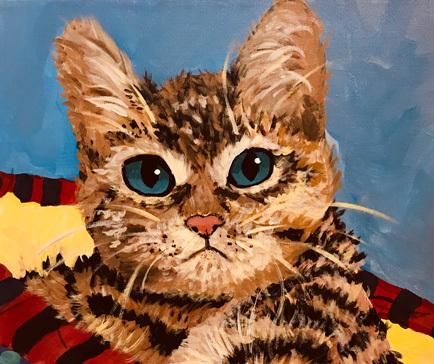 Over the course of three classes, you will learn how to use the grid method to transform a photo of your furry friend into a one of a kind portrait! Other techniques such as color theory, brush strokes, blending and more will be explored. You will receive your own 5 piece brush set and expert instruction! Our doors open at 6:00 pm and classes begin at 6:30 pm. We offer a variety of beverages for purchase including wine, beer, ciders, sodas, sparkling juices and more. 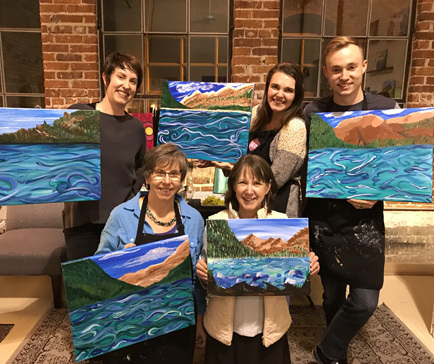 We will help you get settled in at a table alongside your fellow artists where you will find all the supplies needed to complete your project. 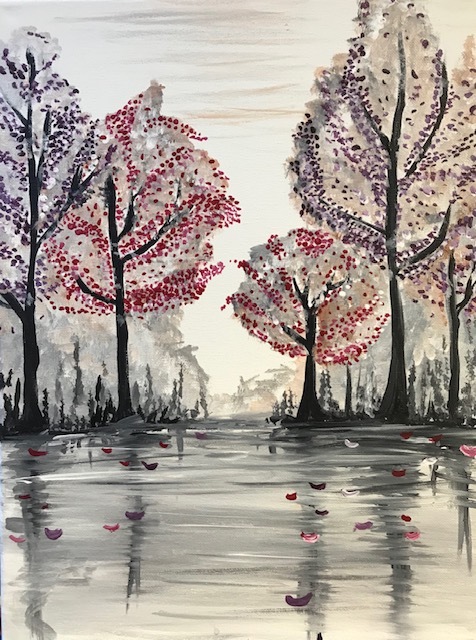 We welcome beginners and more experienced artists too! 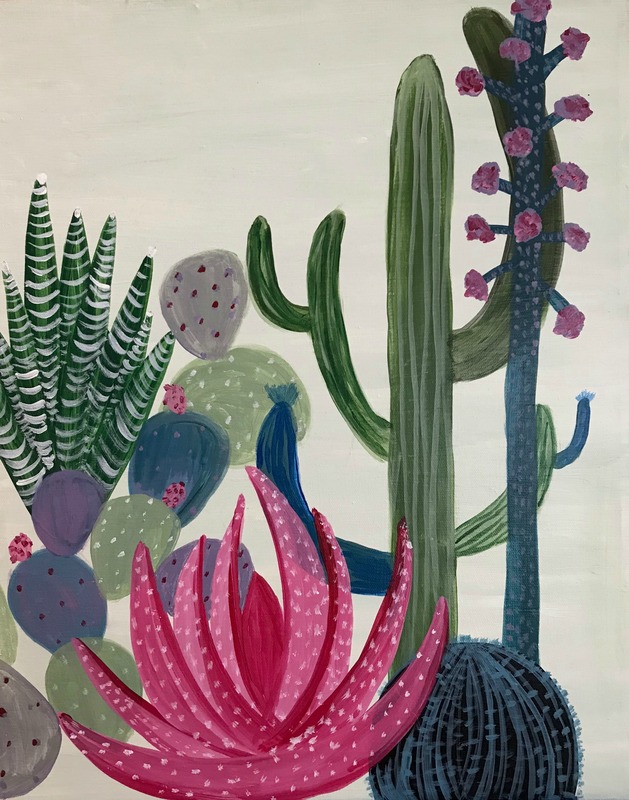 Learn to paint Cacti while enjoying time at our downtown art studio. All art supplies plus dinner included with your registration. Our doors open at 6:00 pm and classes begin at 6:30 pm. We offer a variety of beverages for purchase including wine, beer, ciders, sodas, sparkling juices and more. We will help you get settled in at a table alongside your fellow artists where you will find all the supplies needed to complete your project. We welcome beginners and more experienced artists too! 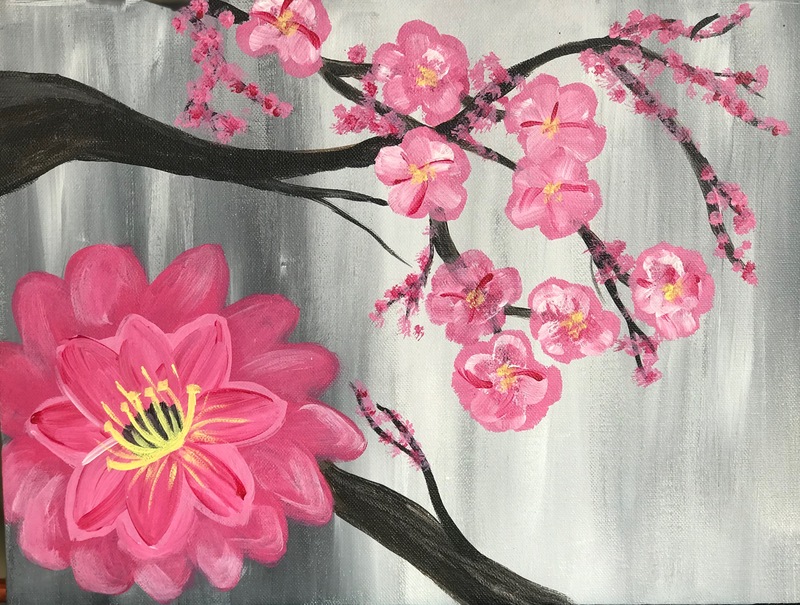 Invite a friend and come paint some Cherry Blossoms! All art supplies plus dinner included with your registration. Our doors open at 6:00 pm and classes begin at 6:30 pm. We offer a variety of beverages for purchase including wine, beer, ciders, sodas, sparkling juices and more. We will help you get settled in at a table alongside your fellow artists where you will find all the supplies needed to complete your project. We welcome beginners and more experienced artists too! Celebrating Mother's everywhere! 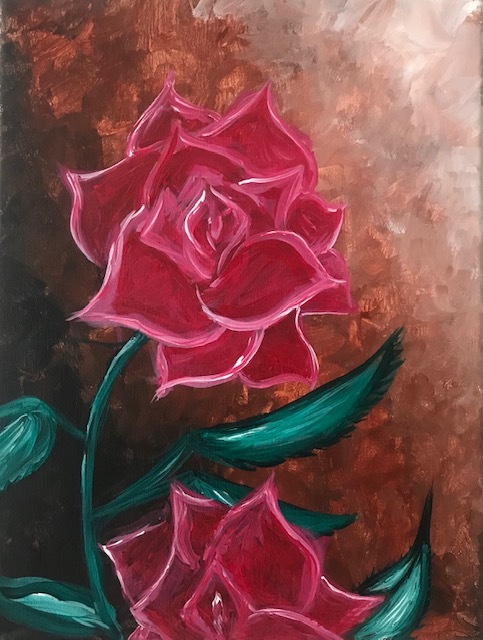 Honor your mom on Mother's Day weekend - invite her to CWAG and learn to paint these lovely roses while enjoying Mimosas and other delicious specialty brunch fare! We will help you get settled in at a table alongside your fellow artists where you will find all the supplies needed to complete your project. We welcome beginners and more experienced artists too! Happy Mother's Day! 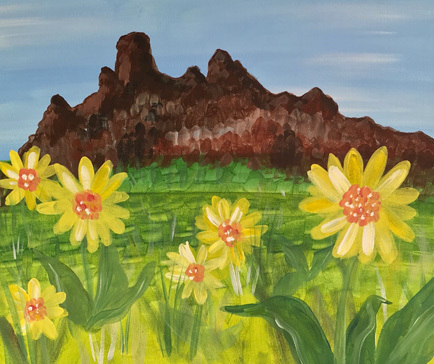 Join instructor Kmbris Bond to create a watercolor landscape of Wenatchee Wonders and Apple Sparkle! Learn new techniques and be inspired to take your art supplies with you everyday! 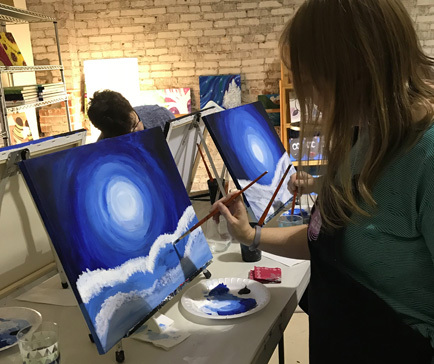 This calm and relaxed class gives you a chance to take a deep breath after a long day and create renewing soul art on your own, or with your friends. Our doors open at 6:00 pm and classes begin at 6:30 pm. We offer a variety of beverages for purchase including wine, beer, ciders, sodas, sparkling juices and more. 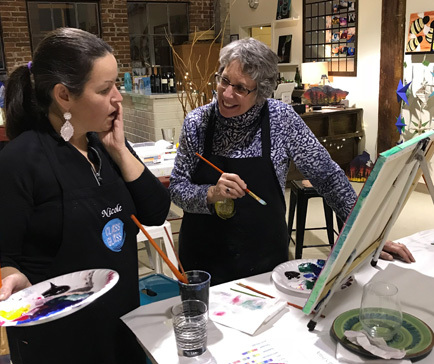 We will help you get settled in at a table alongside your fellow artists where you will find all the supplies needed to complete your project. We welcome beginners and more experienced artists too!